If you’re running a nonprofit, we understand that every penny counts. That’s why you should consider switching to a VOIP telephone/communications solution. In the short-term and long-term, VOIP is a lot more cost-effective than you might think. With its extensive range of features, lower cost, and higher quality calls, many non-profit organizations have switched from traditional telephone systems to VOIP. IP Genie Managed Services provides organizations of any size with a flexible and reliable VOIP solution to fit any budget. IP Genie bundles the ‘best of the best’ hardware and network resources for a cost-effective, long-term technology solution at an affordable monthly usage fee. IP Genie will help you find a technology package that best fits your organization. A penny saved is a penny earned. Organization Pricing for Nonprofits – If you are a member of The Alliance (Connecticut Association of Nonprofits), IP Genie offers member-preferred pricing and benefits. There are no minimums, regardless of size. Cost Efficiency – No system hardware purchase required; Replaces legacy telephone systems with state-of-the-art, Internet-based, hosted phone solutions. Mobility – Allows you to take your IP Genie telephone anywhere in the world, plug it into any Internet connection, and receive calls as if you were in your office. Eliminate Obsolescence – Scalable VOIP infrastructure makes it easy to add or delete components without having to change your entire system. See how IP Genie can help you find the right VOIP solution for your non-profit organization. 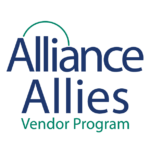 IP Genie participates in The Alliance Vendor Program.